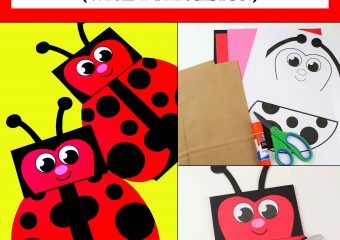 I loved creating books as a child and now I enjoy creating them with my kids. 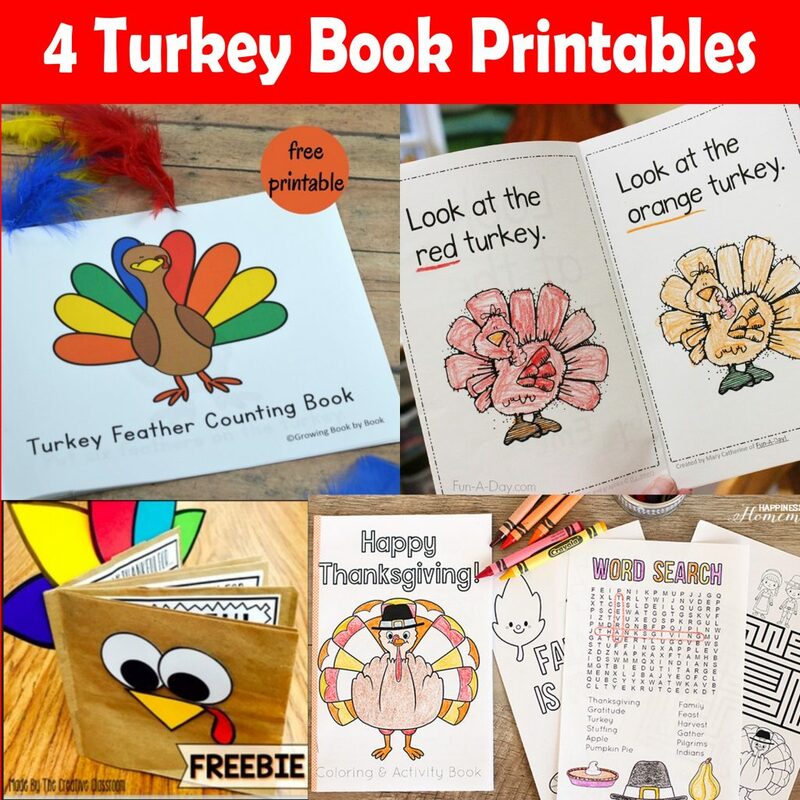 Entertain the kids with these 4 Turkey Book Printables for Thanksgiving. 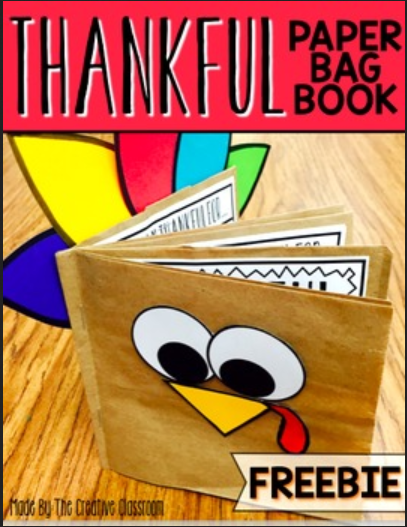 Let the kids create their own “I’m thankful for” Thanksgiving book with these printables from The Creative Classroom. 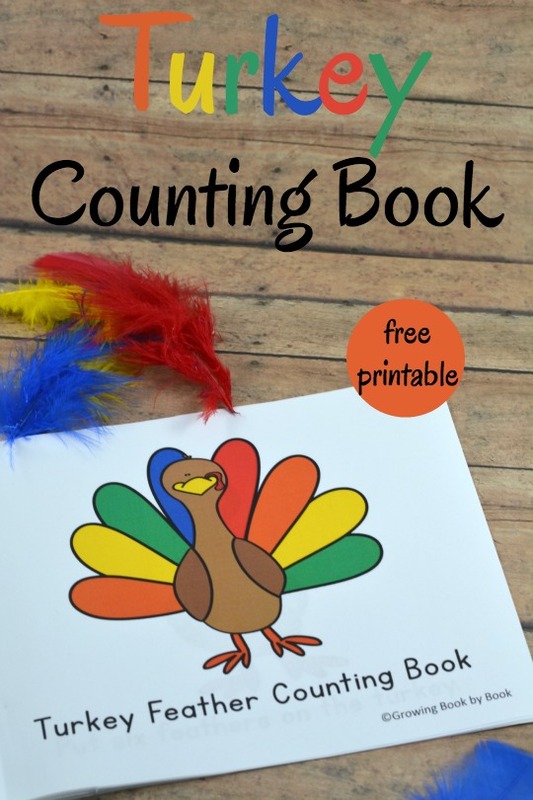 Practice early counting skills with this fun Turkey Feather Counting Book from Growing Book by Book. 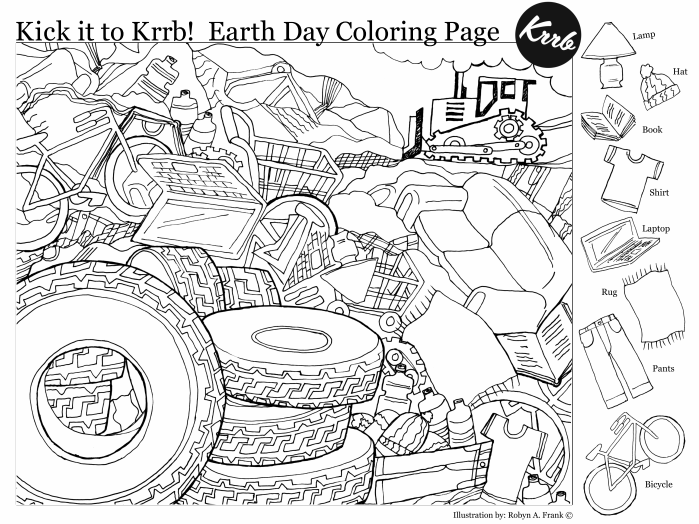 Put together this awesome Coloring & Activity Book for the kiddos this Thanksgiving. 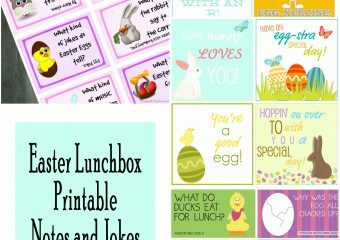 Grab the printables and instructions at Happiness is Homemade. 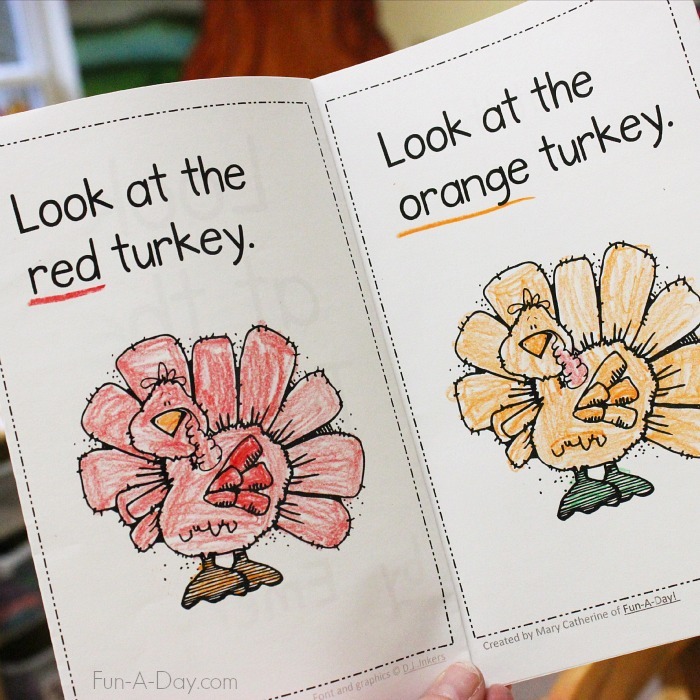 If you’re looking for an Emergent Reader book, grab this freebie from Fun-A-Day. 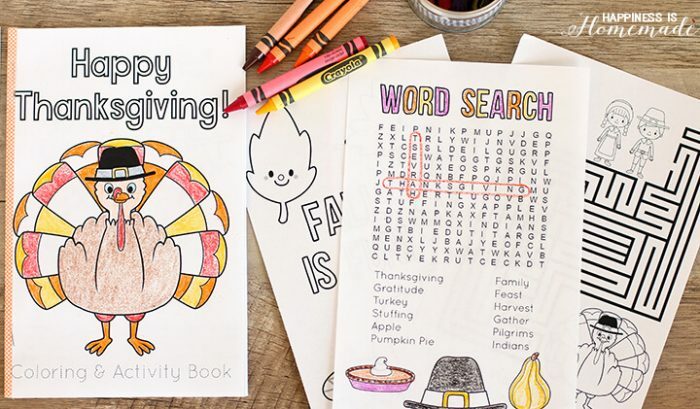 Don’t forget to check out the rest of the Free Thanksgiving Printables.